As I said in my previous post, we learned many things from each other during this successful Summer Institute. Here are a few of my thoughts on specific topics. Maximum flexibility and minimum expectations: This became the motto for the team members a couple of days after we arrived. 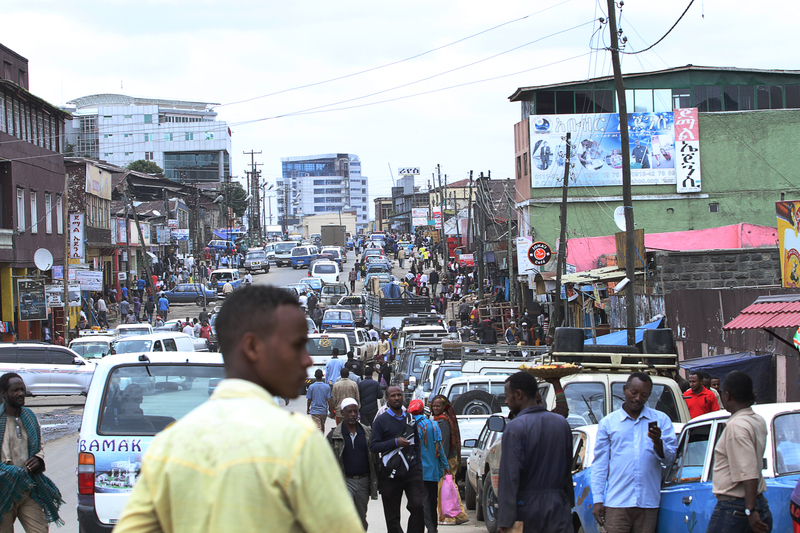 Considering the resource limitations of Ethiopia, the high economic growth and resulting traffic jams, and limitations in communications, one may not be able to plan things well in advance, or keep your lane consistently in driving on the highways, or be able to arrive for meetings on time. At the end of the day, we always achieve all the goals, and everyone gets to be happy, though not in the most efficient way. The situation also made me realize how much building capacity in the area of effective communication could improve all the activities we conduct in this partnership, be it neurosurgery, nursing, or environmental health. 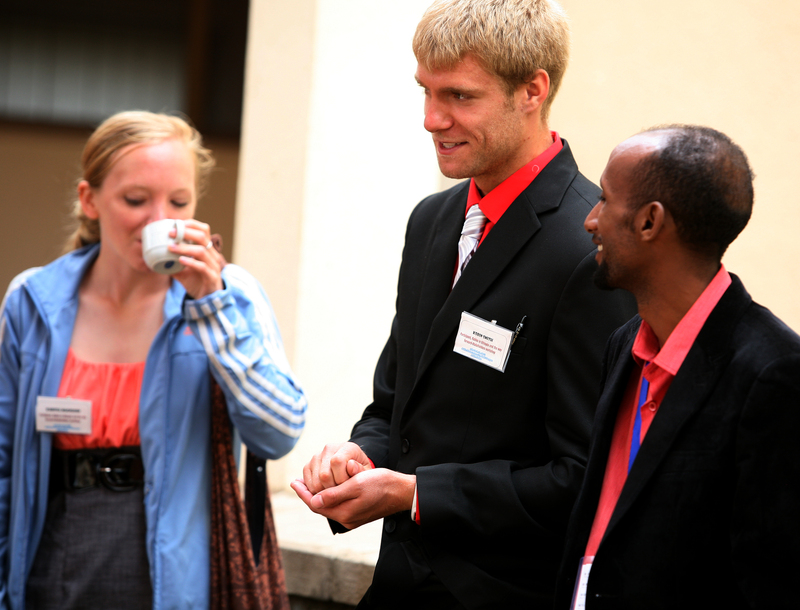 Effective communication and filling the gap within our partner institutes in Ethiopia is critical. However, life in the U.S. made us become very sensitive. We often try to be perfect. 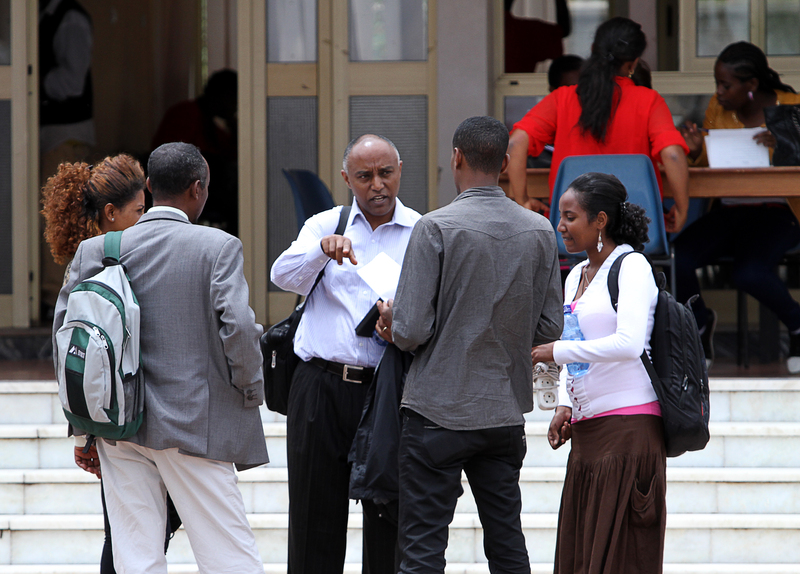 Ethiopia was a great venue for most to realize the sky does not fall. It is OK to be a bit late. Relax, and still achieve our goals! Equipment. Equipment, Equipment: As we all witnessed during our several meetings at the various health science colleges of the two universities and also read in blogs, one key ingredient missing very much in the hospitals, research, and teaching settings is equipment. During this trip, I learned first-hand that 44% of the patient cases at the nation’s premier referral hospital, the AAU Black Lion Hospital, were cancer cases. It was sickening to also learn that among these cases, 65% were pediatric. Yes, indeed there is lack of manpower, and so we launched the institute. The partner universities are also building the physical infrastructures. While these address part of the issue, the lack of equipment is a major impediment for capacity-building. How can one radiotherapy machine can handle such a large cancer case burden for 85 million-plus population? 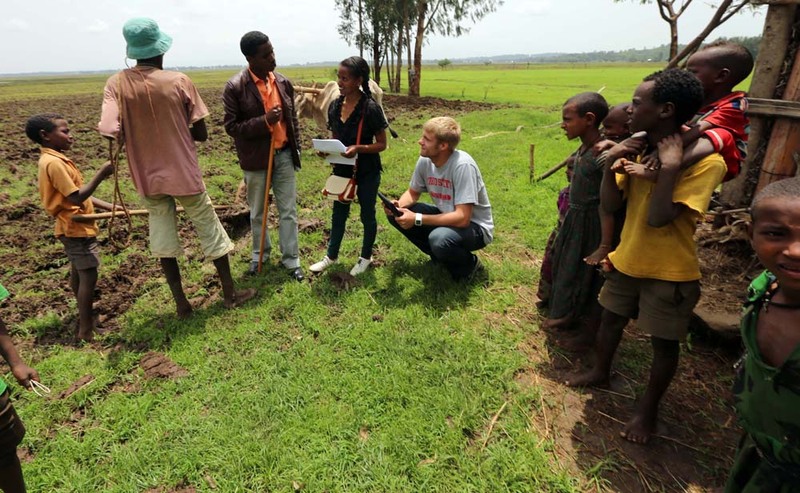 Equipping laboratories and clinical units remains a major challenge that partners in Ethiopia and Ohio State will have to tackle. Maximum motivation: I never realized so clearly until this trip what drives my passion in global work, particularly the teaching aspects. Never fully understood what drives me to lecture several hours with only a short tea break and still have the full steam. I observed my colleague, Dr. Bisesi, give his lecture on environmental health, and I saw the wide open-eyed trainees and their interaction. I noticed the high level of motivation by the trainees. The same was true for my course. You have to respect Sabbath day more than molecular epidemiology. The Ferenji Effect: Ferenji is defined very loosely as “a foreigner,” particularly referring to a rich Caucasian. Its connotation is very positive. Ferenji is often considered as a nice, generous foreigner whose pocket carries endless amount of treasures … well, we all know the truth. Typically Ferenjis are magnets to Ethiopian kids in urban and rural areas of Ethiopia; they often have chocolates, coins, and all kinds of fun things. At a minimum they have a digital camera to snap kids’ picture and show it back to them. The kids giggle seeing their own image in this small window. 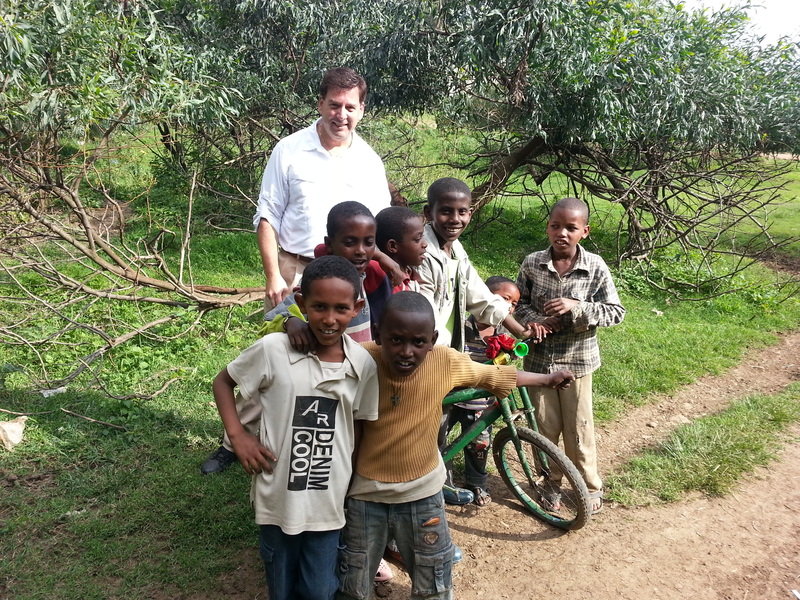 They followed Dr. Bisesi and Mr. Harrison as we traveled in a suburb of Addis. During the Summer Institute, I witnessed the usual hospitality of the university security guards and others giving the due respect to our “guest Ferenjis” and I (the designated local chauffeur) also get a free ride. Unlike what I stated above, about “Ferenji are magnets to local kids,” kids in the Woreta area acted differently. When we were collecting questionnaires for the rabies project, the kids would run away when they saw our giant, “tall-6-foot-some” great athlete and health science student, Korbin Smith. “They might have considered him as Goliath,” I thought to myself. I also hoped one of those little shepherd kids would not be like Dawit (David). Thankfully, we left the place with all fun and no fighting. Posted by omalley.44@osu.edu at 2:36pm Posted in Environment and Natural Resources, Medicine, Nursing, Optometry, Public Health, Veterinary Medicine and tagged Addis Ababa, Ethiopia, Ethiopian culture, Ferenji, Hospitals and clinics, Michael Bisesi, Ohio State University, one health, One Health Summer Institute, students, Summer Institute. Bookmark the permalink.